As someone who lived and breathed music as a profession and a passion, it’s probably no surprise that music plays a part in my writing process. When I asked on Facebook recently, readers seemed to enjoy playlists. I was delighted to learn that a fellow writer had a process similar to mine too! Before I get to work each day, I listen to music and visualise the scene in my head. It helps inspire me and get me in the mood. It was also how I prepared to play live so it’s something I’ve adapted into my writing process. With Pippa, the songs were uplifting, ‘feelgood’ and romantic. Each section of the book had its own theme tune and each track had been picked for a reason. Being someone who wrote lyrics (among other things) for a living, they are important to me. The music needed to be uplifting, yes, but so did the message of the song. I’ve put the list together which (if you like the idea) can be played when you reach the sections. Otherwise they give you insight into the characters. 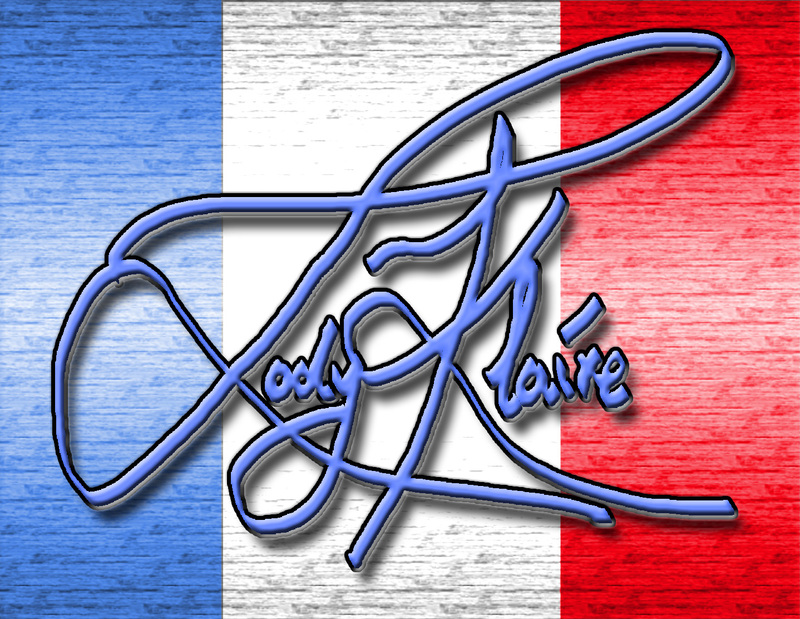 La Vie En Rose – Tina May – Bilingual version which uses the first verse and chorus. I love the feel of this song. Edith Piaf embodied a feel with her songs that still resonates France to me. Love, romance and adventure. 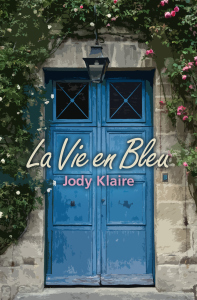 It made sense that this would be the title track for La Vie en Bleu. Wannabe – The Spice Girls – As you will discover when Pippa and Rebecca are in the car, this song becomes a bit of a theme for them. It’s all about friendship and theirs is one of my favourite parts of the book. 2 Become 1 – The Spice Girls – Poor Rebecca has a surprise guest, escape from the flat or not, they can’t hide in the Italian all night. Don’t It Make My Brown Eyes Blue – Crystal Gayle – Berne isn’t impressed at Pippa’s return to Ajoux- Sur- Rhône. She’s even less impressed with the company Pippa has brought along. Let’s Face The Music and Dance – Ella Fitzgerald – It wouldn’t be a comedy without a touch of humour! Pippa and Berne in the Chamonix van. Can they manage to find a way to work together? This Kiss – Faith Hill – Pippa is fed up of digging and Doug isn’t helping. She gets upset but it’s not Doug who follows. Something Kinda Funny – The Spice Girls – Rebecca and Babs’ theme. When Babs and Berne drive to the rescue, the meeting between these two leaves Berne in no doubt. An old bet with Pippa is definitely on! The Language or The Kiss -The Indigo Girls – Pippa in Paris. Not alone but feeling lonely even with Doug and her parents around. Back To You – Bryan Adams – Pippa gets on a train to escape but she finds herself heading somewhere familiar. Breathe – Faith Hill – A night on the Ardèche. La Luna – Belinda Carlisle – The French shirt even has its own theme tune! Something Inside So Strong – Labi Siffre – Pippa faces her family but Rebecca’s with her every step. Patience – Take That – Being brave is one thing, coping with it is another. Back in London and Pippa thinks something is up with Berne. Bridge Over Troubled Water – Simon & Garfunkel – Rebecca is there once again and Berne is in Marseille. That’s All – Michael Buble – Berne and her mother at Monsieur Coin’s. I’d Wait For Life – Take That – Pippa may have helped but Berne comes home and she is face to face with Viper. Live Your Life, Be Free – Belinda Carlisle – Things get complicated, the screwdriver is dropped. Pippa (with a little coaching from Rebecca) heads to the workshop. Misty – Ella Fitzgerald – A guest for the rugby match. Pippa in the hallway. Heaven – Bryan Adams – A forfeit in the rain. Pippa decides the match. Well, I hope that you enjoy! Look out for my next post as La Vie en Bleu is on the runway!! Previous postA little bit of France – Oui, C’est the first chapter!